Translated by Derek Bryce from Lao-Tzu on Wieger's 1913 French rendition of his Les Peres du Syteme Taoist. This volume also contains Bryce's summaries of writings attributed to Huai-Nan-Tzu, Kuan-Yin-Tzu, and Tung-Ku-Ching from Wieger's Histoire des Croyances et des Opinions Philosophiques en Chine. Bryce demonstrates a conscious commitment to both the original Chinese text and the profound insight of Wieger's work. 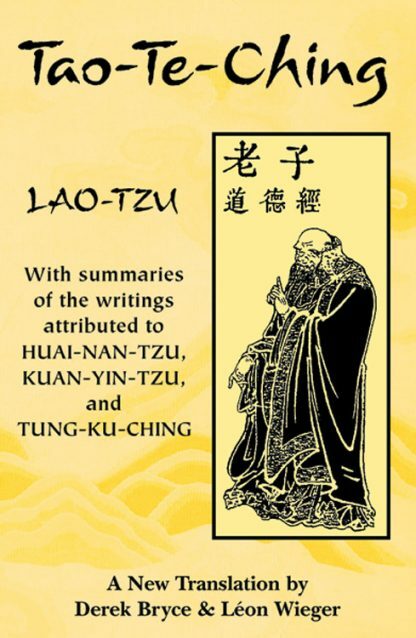 A Taoist classic to read again and again. Illustrated.